it's a old wall but i have updates this. I think I'll fav this one even though I'm not a Naruto fan, cause the background fits just so well with the scan. I'd like to know how you did all this. 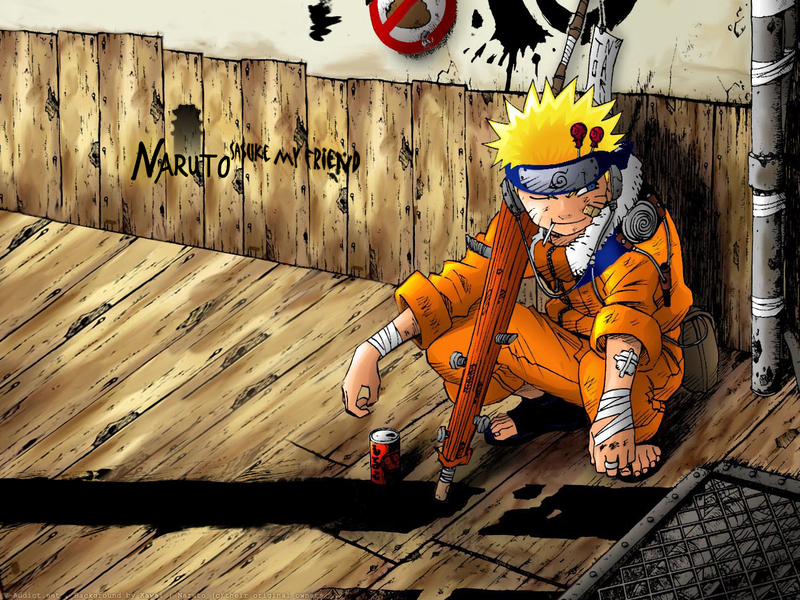 There is just the font in wich Naruto is written that I less like, a more grunge font would be nice. Yeah, I totaly agree. The bg is awsome as is the scan. Excellent job! haha this wallpaper totally cracks me up, don't know why. good work and keep it going! This wall is very nice but I agree that the font used on the wall should be something more dirty like Naruto. Otherwise, great job love it and thanks for sharing. lmfao I love it! Especially the little lollipops stuck in his headband. (That is what they are, right? :O) Wonderful job here, just lovely. Keep up the great work! Very nice wallpaper. The background is so nice. I like the colors so much. nice wallpaper. I love it! THXXXX So good this wallpaperrr ! I love Narutoooooooo ! ! ! ! GOOOOOOOOOOOOODDDD |! | | THX ! Very nice wallpaper. The background is so nice.